This is such an easy side dish for steak, chicken or anything. 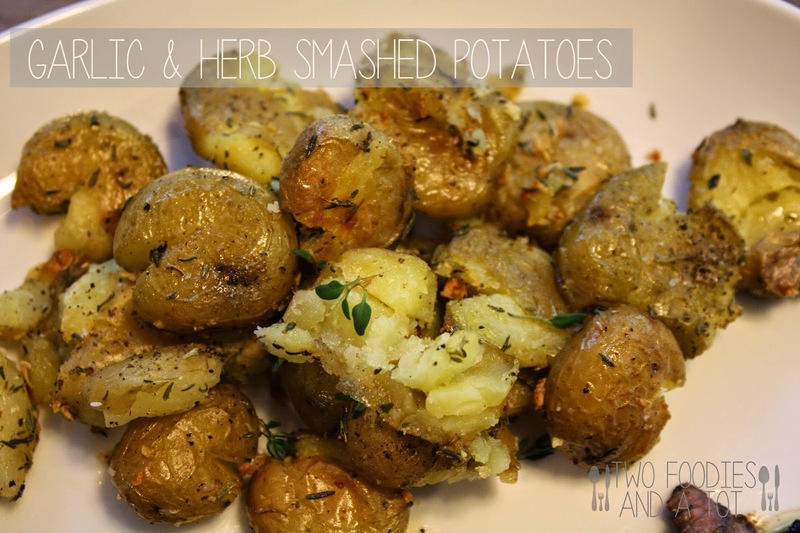 My usual potato sides were roasted cut up potatoes, basically like potato hash but these little potatoes are so cute and I love how creamy yet crispy it turns out. Anyway, accompany this easy "ittle potato" side with any of your meat dish, you will be satisfied. 2. Place potatoes, some salt and enough water in a large pot and cook the potatoes. About 15minutes. Drain well. 3. 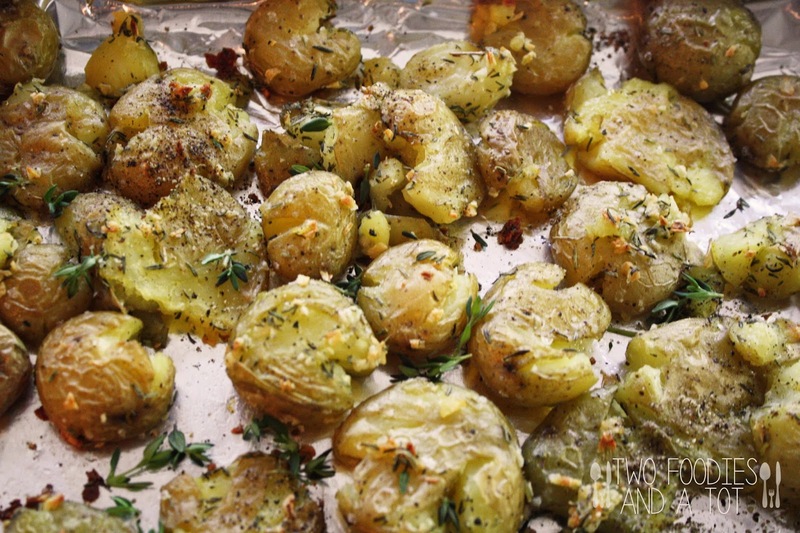 Smash the potatoes with a bowl or a masher and put them in a bowl, add olive oil, thyme, garlic, salt and pepper and mix gently. 4. Place them on a baking sheet in one layer and bake for 20-25minutes.